The U.S. economy remains on solid ground, inflation is contained and the threat of higher short-term rates is fading from view, which has allowed mortgage rates to drift down to their lowest level in 10 months. This is great news for consumers who will be looking for homes during the upcoming spring homebuying season. 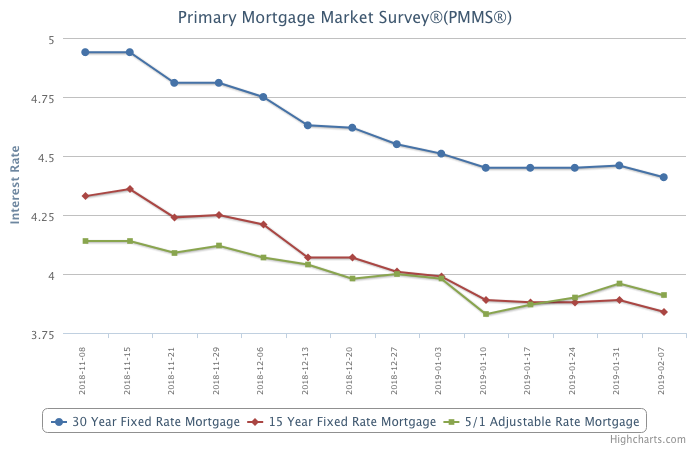 Mortgage rates are essentially similar to a year ago, but today’s buyers have a larger selection of homes and more consumer bargaining power than they did the last few years.